Melbourne, Florida – March 24, 2015 – As part of a statewide Maternal Preeclampsia Initiative, the New York State Perinatal Quality Collaborative, an initiative of the New York State Department of Health and the New York State Partnership for Patients, has supported the use and distribution of a patient education tool developed by the Preeclampsia Foundation and researchers at Northwestern University Feinberg School of Medicine for distribution to all New York birthing facilities. The tool, an Illustrated Preeclampsia Symptoms Tear Pad, effectively informs women who are pregnant or recently gave birth about preeclampsia, which can strike up to six weeks after delivery. It uses illustrations to describe the symptoms of preeclampsia so they are easily understandable, especially for those with poor health literacy. A life-threatening disorder of pregnancy and the postpartum period related to high blood pressure, preeclampsia takes the lives of an estimated 76,000 women and 500,000 infants every year. Risks to the mother include seizures, stroke, organ damage, and death. Risks to the baby include premature birth and death. Because symptoms of preeclampsia can be mistaken as being “normal” during pregnancy, it is critical for all pregnant women to understand and recognize the warning signs and seek medical attention if they experience them. These include stomach pain, headaches, throwing up (especially later in pregnancy), seeing spots and other vision changes, swelling in the hands and face, and gaining more than five pounds in a week. “Partnering with the Preeclampsia Foundation on preeclampsia patient education is having a direct impact on maternal health in New York State,” said Kristen Lawless, co-director of the New York State Perinatal Quality Collaborative. “It’s helping to save lives and keep new moms where they need to be – with their families. New York joins California in distributing the tear pad statewide; recognizing the importance of patient education in efforts to reduce maternal mortality and morbidity, the California Maternal Quality Care Collaborative reviewed and adopted the tear pad into its Preeclampsia Toolkit distributed to hundreds of hospitals in the state. The Illustrated Preeclampsia Symptoms Tear Pad is available in English and Spanish to healthcare providers through the Preeclampsia Foundation’s online Marketplace for only the cost of shipping and handling. Providers who would prefer the tear pad in an electronic format for inclusion in the electronic medical record should contact the Preeclampsia Foundation. Health departments and hospitals across the country have also adopted a short animated patient education video called 7 Symptoms Every Pregnant Woman Should Know. The video, also available in English and Spanish, can be downloaded free of charge. To date, the videos have been viewed more than 40,000 times on YouTube. For more information on these preeclampsia patient education tools, contact the Preeclampsia Foundation at 800.665.9341 or email info@preeclampsia.org. About the Preeclampsia Foundation: The Preeclampsia Foundation is a U.S.-based 501(c)(3) non-profit organization established in 2000. It is dedicated to providing patient support and education, raising public awareness, catalyzing research, and improving healthcare practices, envisioning a world where preeclampsia and related hypertensive disorders of pregnancy no longer threaten the lives of mothers and babies. 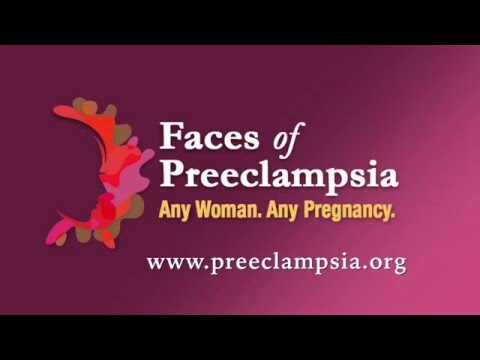 For more information, visit www.preeclampsia.org.